Eight musicians with the New Brunswick Youth Orchestra and Sistema travelled to Mexico City this week to learn from some of the world's best musicians. 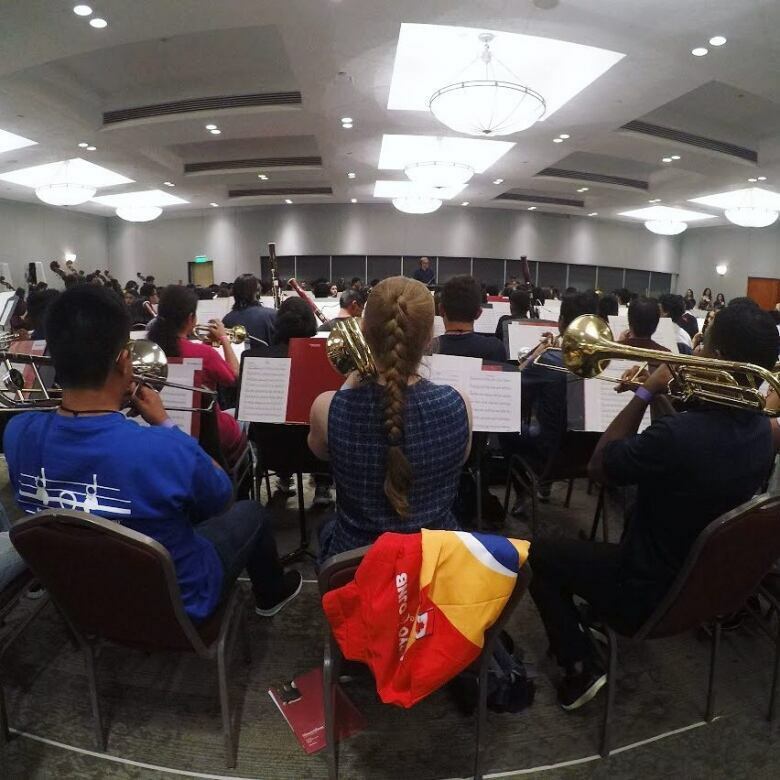 They took part in a pan-American workshop conference that included 800 musicians from across the Americas, according to youth orchestra CEO Ken MacLeod. "Throughout all of our programs ... our mission is the same, it's to inspire youth to achieve their full potential," he ​told Shift New Brunswick on Friday. "At home they're exposed to really great teachers and here in Mexico City, they likewise have the chance to be exposed to these great teachers and composers and conductors. "It challenges them to do their best and to reach another level in terms of development of their skill and their talent." There are more than 1,000 children in their orchestra programs in New Brunswick, MacLeod said. There are students from North, South and Central America invited to the event at the National Theatre in Mexico City. Of the 14 Canadians attending, eight are from New Brunswick, according to MacLeod. One of the conductors the students will be meeting is Gustavo Dudamel, the music director of the Los Angeles Philharmonic and the Simón Bolívar Symphony Orchestra in Venezuela. Grace Hamilton, who plays the trombone, said she was excited to play with other students from other countries. "Everyone's amazing, from the teachers to the other students that are there, everyone's just awesome, they're at the top level," she said. "It's super interesting to see the different languages and the different cultural customs and we're still able to make music together. "I think that it just shows that music is an international language."